Olly Moss’ book, Silhouettes From Popular Culture is a difficult book to review as it contains very little text, and a lot of (glorious) images. However, if you are of a certain disposition, then you’ll love it – you might even buy two copies. The book is a collection of Victorian style silhouette portraits, all featuring (as the title suggests) characters from popular culture. Characters like The Terminator, Indiana Jones and a plethora of others all appear in the book, which contains a foreword by Moon director Duncan Jones. It’s the ultimate Christmas stocking filler for your favourite geek. The beautifully presented hardback book will keep fans guessing as they go from page to page, although it’s a shame that it doesn’t give a who’s who list at the back (it’s a small niggle though). Be prepared to buy another copy – you might just want to cut some of these out and frame them on your wall. 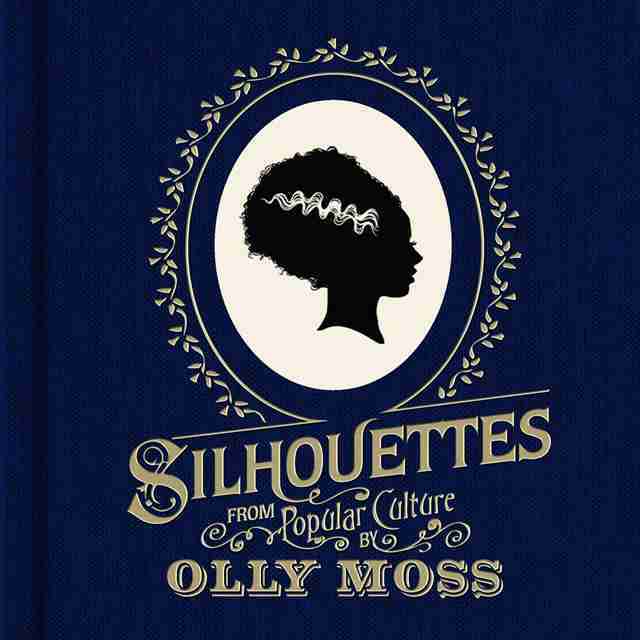 Silhouettes From Popular Culture by Olly Moss is out now from Titan Books. Rumours Suggest An INDIANA JONES Return In 2018; Will It Be Harrison Ford Or Chris Pratt?